Established in 1823, North Fork Church was listed in the Muddy River Baptist Association as having 13 members with first messengers Daniel Powell & William Gholson. 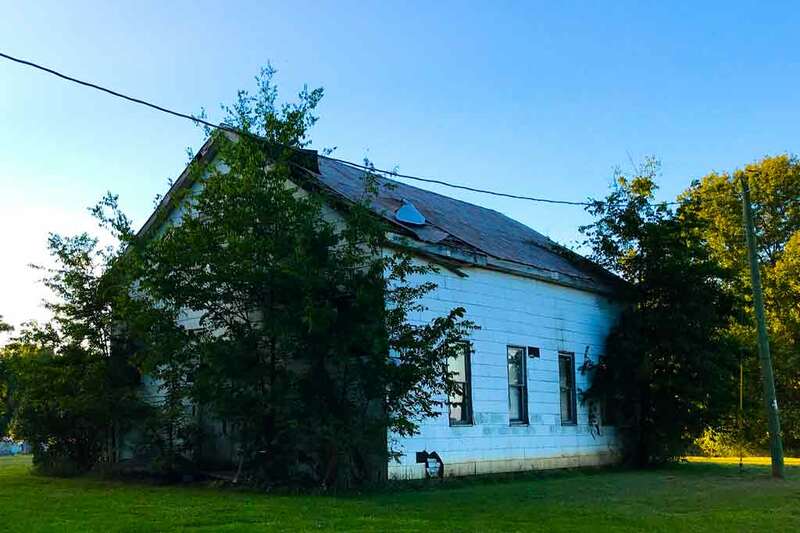 Late in 20th Century when the congregation disbanded and the property came up for sale, Kenneth Hunt and his wife Becky, bought the property which is next to their farm about three miles east of Broughton. Hunt utilized the property for outdoor gospel singing, while indoors, was clothing for needy, donated furniture, garden vegetables and participating in the Food Share program. The sign above the door, "North Fork Community Services." My grandmother, Flora Mayberry, volunteered frequently at the food bank after she retired. Gholson Brother's web site, used with permission.